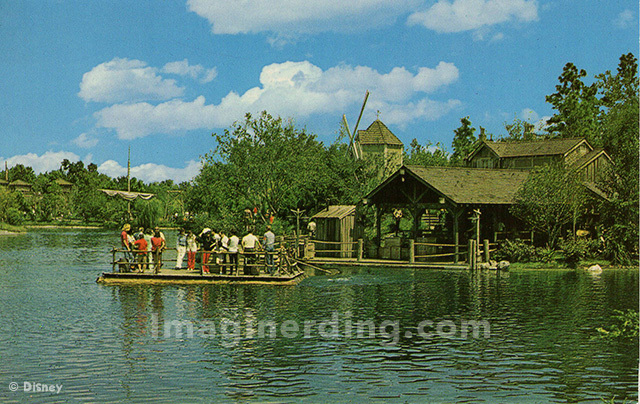 We’ve got a vintage postcard featuring Tom Sawyer Island! Check out the lack of growth of the vegetation surrounding the island. You can make out Fort Sam Clemens on the lefthand side of the postcard. Guests sail aboard log rafts to Tom Sawyer Island where they’ll explore Fort Sam Clemens, visit the old grist mill, venture into Injun Joe’s Secret Cave and experience other exciting adventures. When was the last time that you spent time on Tom Sawyer Island? What’s that Building on the Hill at Dollywood? Can You Guys Step Aside?